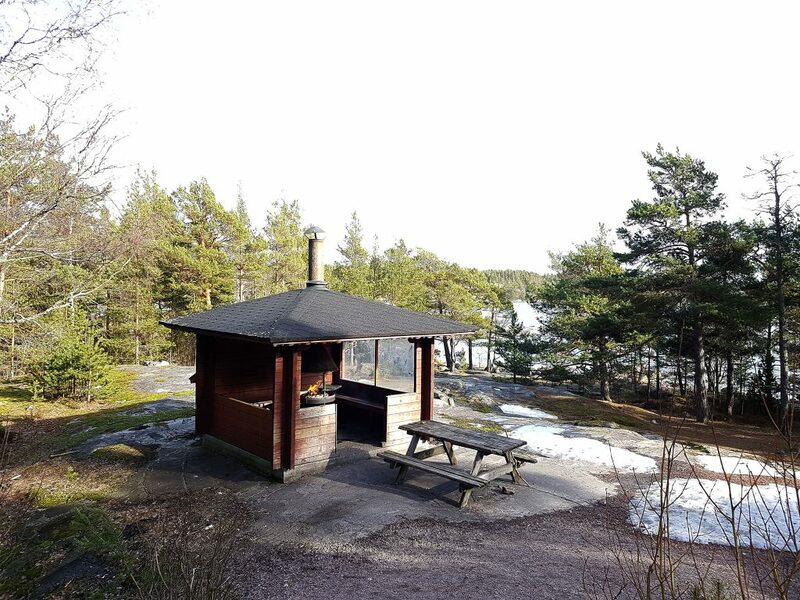 The Western part and the more popular Kopparnäs is a combination of often dry pine forests, rocks and cliffs with a beautiful view to the archipelago. 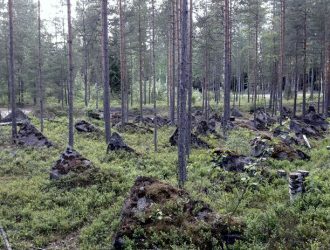 The area was completely burnt during the time when Finland had to rent this coastal area to the Soviet regime; this era in 1944-56* is known as the parenthesis period (Porkkalan parenteesi in Finnish), an interesting time that left it marks on the ground. Fishing, mountain biking, birdwatching and, of course, barbecuing are popular activities. The area can be roughly divided into four concentrations with fireplaces, parking lots, info boards, and outhouses. Perhaps the most popular is the area around Rävberget, which also offers the best views to the sea. *More information on the parenthesis period is available on the Porkkala Parenthesis website. You can also visit the Degerby Igor Museum! Another spot is the Sandfjärden-Sandviken area with sand beaches. A curved and narrow gravel road takes you there over the dry landscape. The Sandviken beach at least is a hidden gem: a 100-metre sand beach and sometimes you can be the only visitor! 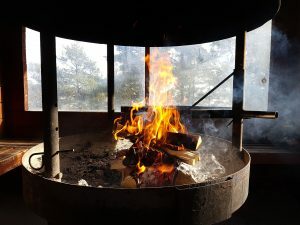 The sandy pine forest, the fireplace and outhouse at hand makes this THE destination for camping in tents. 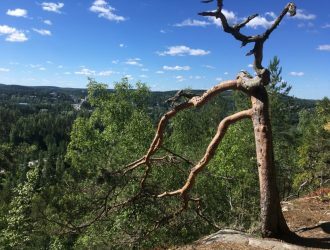 The Eastern part, Störsvik, is very different from Kopparnäs with lush forests that form a nature reserve. No “services” are available as in Kopparnäs. However, it is a good entry point to the whole area, especially if you arrive from Helsinki. There are two parking lots available close to where the trails start. 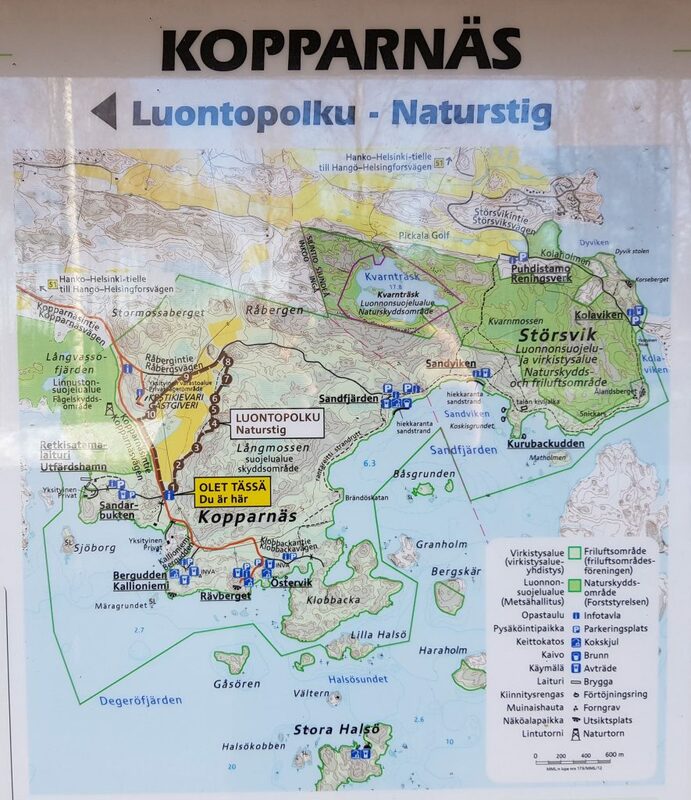 You can walk to the sandy beach (3 km) or continue to Kopparnäs (5 km). If you are into hiking, a round trip on the unmarked trails can easily exceed 10 kilometres. Tip: Ålandsberget a short walk from the Kolaviken parking lot has a beautiful view to the sea, where you can spot naval vessels if you are lucky. The Upinniemi naval base is, after all, very close. 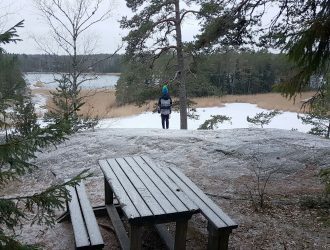 If you have a boat or canoe, the island of Stora Halsö on the Southern side of the recreation area is an interesting option. The services are concentrated around the pier on the Norhtern side. 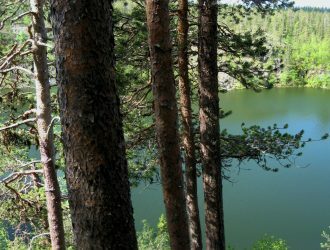 The Kopparnäs-Störsvik area is administered by Uudenmaan virkistysalueyhdistys (Uusimaa Recreation Association) and the state-owned Metsähallitus (The Finnish Forest Administration), who have plans for developing the area in the coming years. 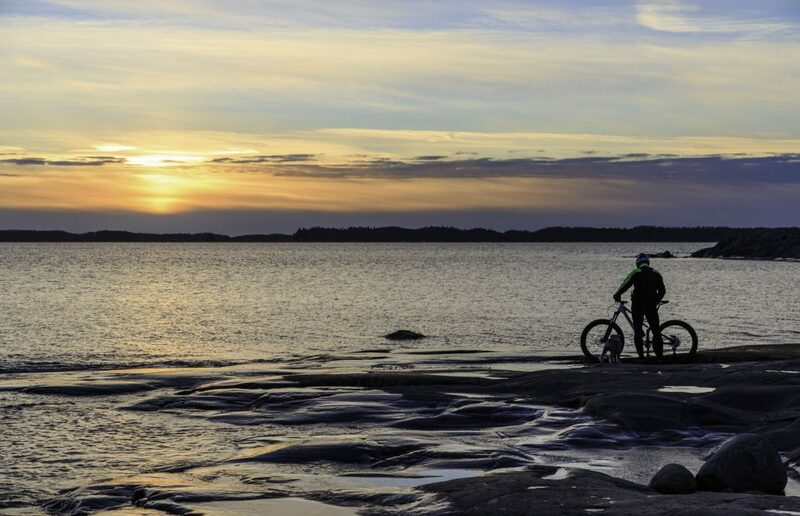 The aim is to “become one of the most significant marine visiting areas in the Uusimaa region. The main area of Kopparnäs is five kilometres South of the Helsinki-Hanko Highway, exit just before Degerby village. A gravel road takes you to the parking lots. If you have a navigator, use the address Kopparnäsvägen 432. Störsvik is South of Pickala Golf in Siuntio. Exit the Helsinki-Hanko highway after ABC Pickala. The final stretch after the golf course is gravel. Use the address Kolaholmen 100 for your navigator. 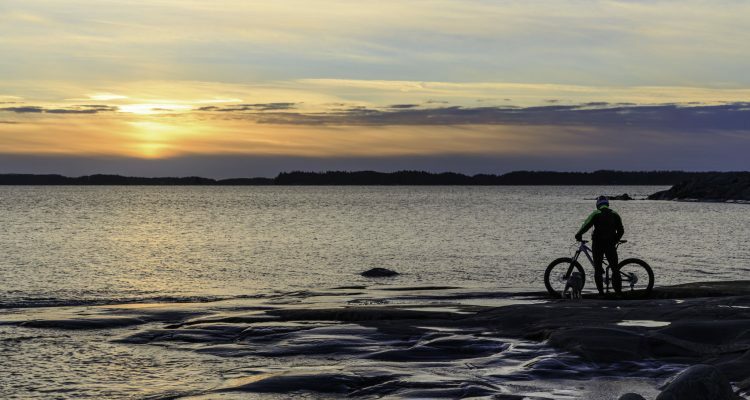 Both Störsvik and Kopparnäs are, of course, good cycling destinations too. Most of the fireplaces and shores are a few hundred metres from the parking lots. The area could be very accessible for even wheelchairs, but most of the main small roads are blocked with booms.